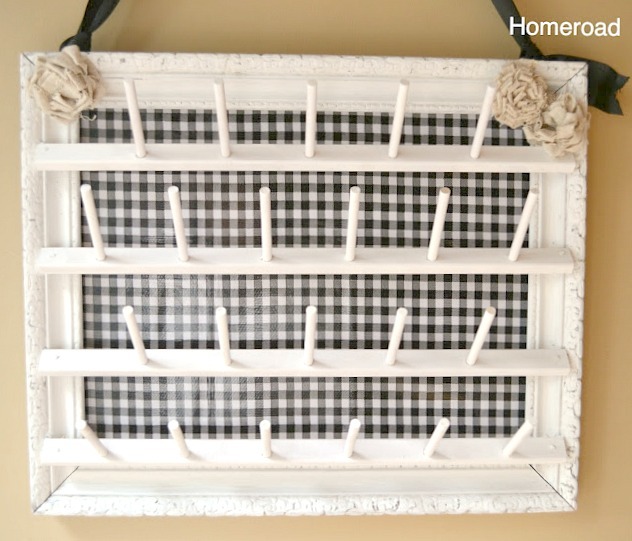 I used Gorilla Glue and finishing nails to attach the spool rack to the vintage frame. 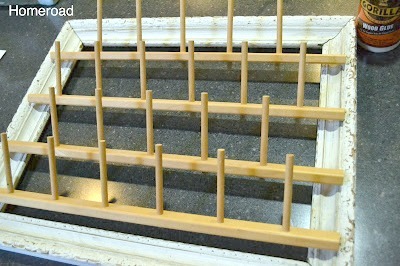 I gave the whole piece a coat of white paint then backed the frame with buffalo check oil cloth. Last I added paint cloth rosettes. I used a black satin ribbon to hang the frame. Now that ugly spool rack has a little more style! 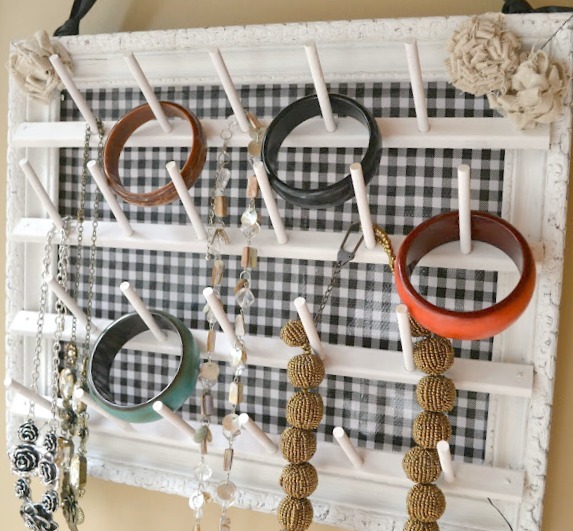 To my surprise my daughter snatched it up for a jewelry holder... another great idea! So many great uses.... ribbon? ties? craft supplies? What an awesome project! I would definitely use it for thread. Oh that's great. I love the idea of the jewelery on it. 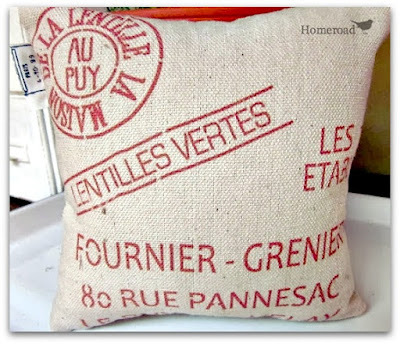 What a great way to use it...looks so cute with the jewelry on it. I LOVE it!!!! 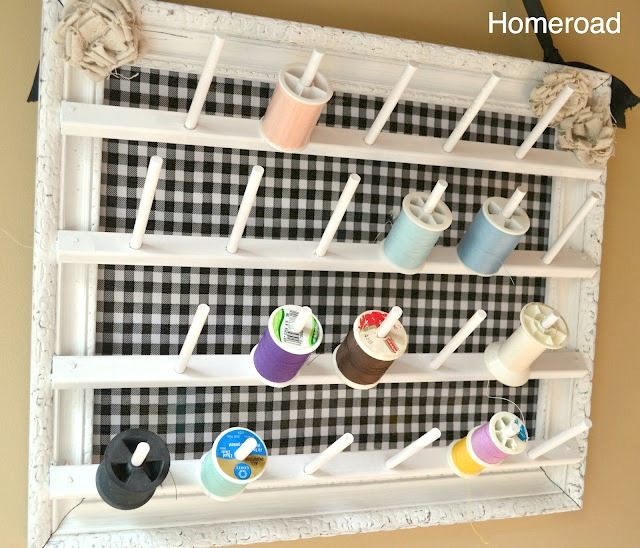 Since I have been sewing more, I am actually in need of a spool organizer and I have been looking for ways to "fancy it up"! I will look no further! Thanks for sharing!!! 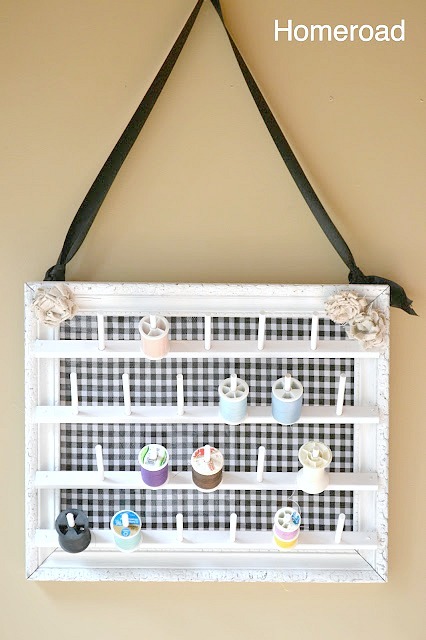 I need this in my laundry room where my very unused sewing stuff is located. I think it looks awesome! What a great idea! Love it! 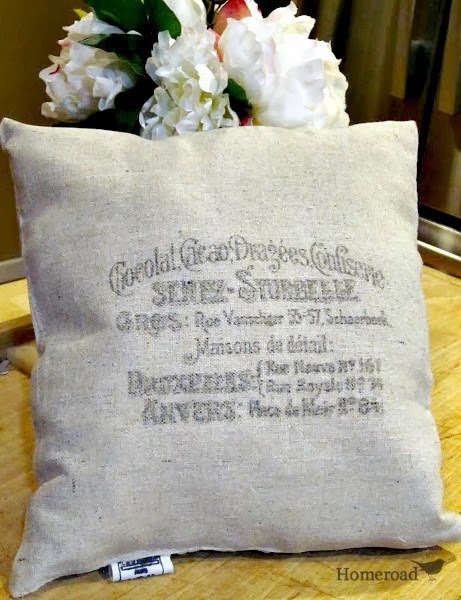 I have wanted to add something to my sewing room wall. Functional, and cute!